Black ink looks amazing at times. 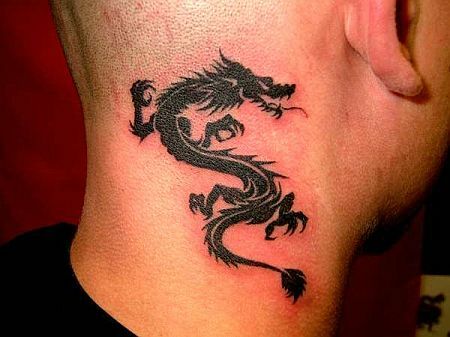 Like it appears in this awesome dragon tattoo, which is on neck. With this piece of art who would not like to get bald to show it to the world around.